Quick and easy homemade Chinese style salt and pepper chips. Perfect for when you just NEED them… These are so easy to make and so delicious to eat, I can see a little habit developing here. AT LAST! Chinese style salt and pepper chips at home. 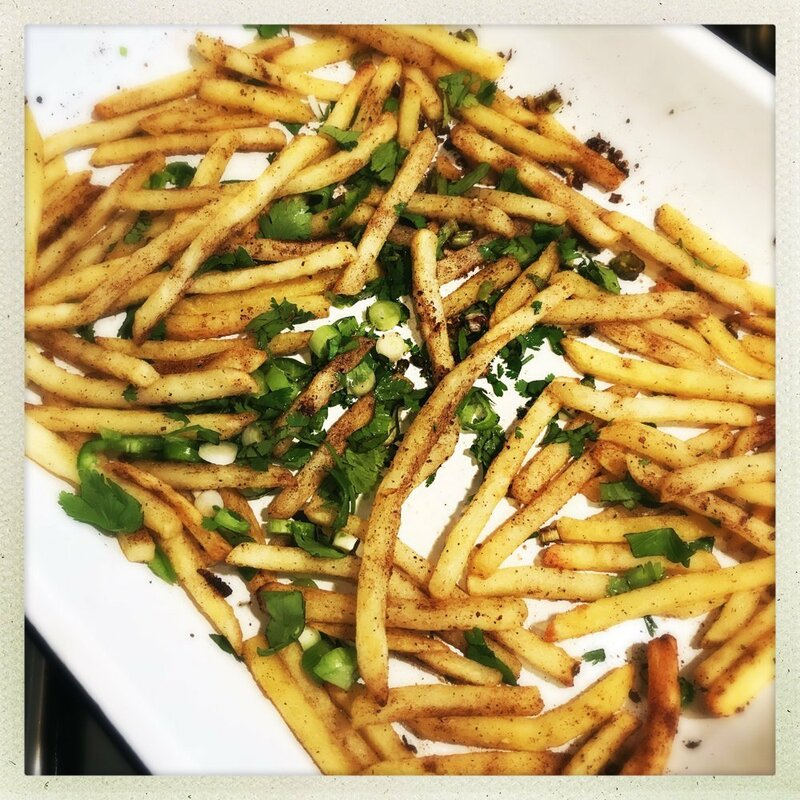 500g frozen oven chips - I use the McCain French Fries for this recipe. small bunch of coriander - roughly chopped. Spread the fries in a single layer on a baking tray. Grind the Szechuan pepper, five spice powder and sea salt with a pestle and mortar. Sprinkle the spice mix and half the spring onions over the fries and toss the fries with your fingers to coat everything - then spread them back in a single layer. Cook in the oven for 14-16 minutes. Remove from the oven and sprinkle over the rest of the spring onions, the chopped chilli and the chopped coriander. Don’t fancy Chinese style? Then opt for smoky spicy fries – grab the recipe here. Make them even spicier – use a hot chilli and sprinkle more on. Delicious alongside our sweet chilli chicken wrap. Perfect with kebabs and salad. Fab for a quick and tasty weeknight dinner.